In common parlance, sacrifice primarily refers to an act of propitiation or offering oblations to appease a Deity. However, sacrifice as a step of spiritual practice has a much deeper meaning and is a pertinent step if we wish to make spiritual progress. Without sacrifice, we cannot attain God-realisation. Sacrifice helps to create the space within us to receive God’s grace. As we begin to increasingly sacrifice our body, mind, intellect and wealth and participating in God’s mission, it helps to deepen our spiritual practice. Sacrifice does not necessarily have to be big, even small sacrifices can help to increase our spiritual practice. An example of sacrifice of the mind is when we have the option to watch our favourite movie or help with setting up a satsang, we choose the latter. Here we sacrifice something that the mind enjoys for God. 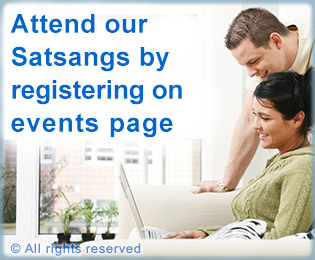 Chanting continuously is also a sacrifice of the mind. An example of sacrifice of the body would be sleeping an hour less in order to do God’s work, such as completing an article for the website or performing some other spiritual service. As a reward of our sacrifice, God reduces the intensity of our destiny. Even our personality defects and ego reduce. In short, sacrifice allows God to mould us so we can reach our full potential as seekers of God. If there is anything that helps us to truly make spiritual progress, it is sacrifice. As per one of the basic tenet of spiritual practice; we should sacrifice our talents or ability bestowed by God to serve Him. This fosters faster spiritual progress. 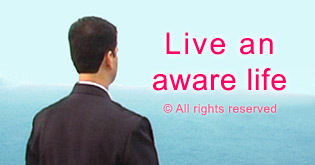 The best way to serve God is through the spread of Spirituality and awakening society to its importance. Thus, we can contribute by whatever we know or our ability. 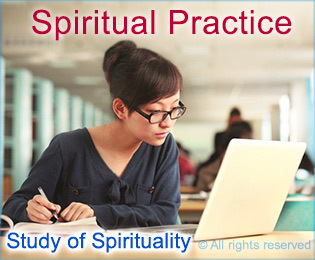 SSRF offers various ways through which you can participate in the spread of Spirituality. The only way that SSRF’s service is made possible is by the grace of God, Who continues to provide all the necessary resources for completing such a monumental task? One of the reasons for this is that people across the world who have recognised the value of SSRF’s service to God offer their donations – large and small, towards SSRF’s cause. Learn how we can sacrifice our time, effort, worldly connections, or wealth (in our own capacity) for spreading Spirituality which fosters fastest spiritual growth. 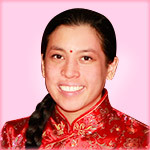 A seeker explains how sacrifice of materialism helped her to progress spiritually. Adrian describes how sacrifice helped him to turn from atheism to genuine faith in God. Christie describes how sacrifice helped her to overcome anger and negativity. 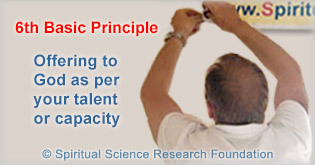 Offering to God as per your talent or capacity. We should sacrifice by offering our talents to God so as to grow spiritually. 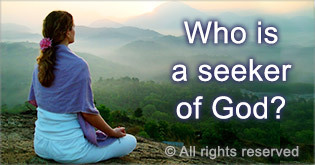 Who is considered a seeker of God? What qualities or features like sacrifice for God are needed for spiritual growth? Increase your awareness of how the spiritual dimension influences our lives and why spiritual practice such as sacrifice is a necessity. Read about the spiritual effects of sacrificing one’s life for the benefit of others versus sacrifice for God. 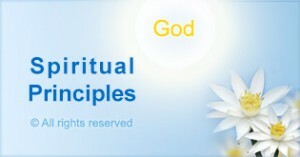 Learn what steps to follow in spiritual practice in addition to sacrifice for God to make faster spiritual progress. By sacrificing and abiding by spiritual principles, one is assured of spiritual progress in the shortest period of time. Read about how spiritual practice like sacrifice for God helps us.